The rigs support EchoLink "node memories", for use when mobile. You can store the node number of your favorite EchoLink nodes in the transceiver's memory. When you are in range of a local EchoLink node, you can use a short-cut command to have the rig send the correct DTMF sequence to connect the local EchoLink node to a distant EchoLink node. The rig makes it easier to set up your own EchoLink node by including a built-in PC interface. If you purchase the optional PC cables, you can connect the transceiver directly to the sound card and serial port of your PC to have it operate as an EchoLink node. The TM-V71 and TM-D710 have been designed and built entirely by Kenwood. Specific questions about this equipment should be addressed to Kenwood, or to your dealer. However, the FAQ below is being provided as a guide to getting these radios up and running with the EchoLink software. Q: What Kenwood rigs does this FAQ apply to? A: The information below applies to the TM-V71A, TM-V71E, TM-D710A, and TM-D710E. Q: I'm planning to set up an EchoLink node by connecting the TM-V71 or TM-D710 to my PC. How do I configure the rig's DTMF memories? A: The EchoLink DTMF memories in the TM-V71 and TM-D710 are not used when the transceiver is acting as an EchoLink node (in Sysop mode). Instead, this feature is intended to be used by mobile stations when contacting a node over the air. See the Kenwood manual for details on this feature. Q: How do I connect the TM-V71 or TM-D710 to my computer? A: You would connect the TM-V71 or TM-D710 to your PC if you are setting up your own EchoLink node, which will function as a gateway between local RF signals and the EchoLink network. You will need the optional cable set offered by Kenwood (PG-5H), which is package of two different cables. Following the instructions in the manual, connect the cables to the two jacks in the back of the radio and to the serial port and sound card jacks of your computer. The pink plug goes to the mic input of the sound card, and the green plug goes to the line out (or speaker out). The black 9-pin connector goes to the serial port. Q: How do I connect the rig to my computer if my computer doesn't have a serial port? A: If your computer has no serial port, you will need to use either a serial-to-USB adapter cable, or a serial port option card. Either can be purchased from stores that sell computer accessories. Q: Can I build the two sets of cables, instead of buying them from Kenwood? A: You might be able to wire your own cables if you can get a hold of matching plugs for the two multi-pin jacks in the back of the TM-V71A. Diagrams showing the pin-outs of these two jacks can be found in the Kenwood manual on pages 83 and 90. 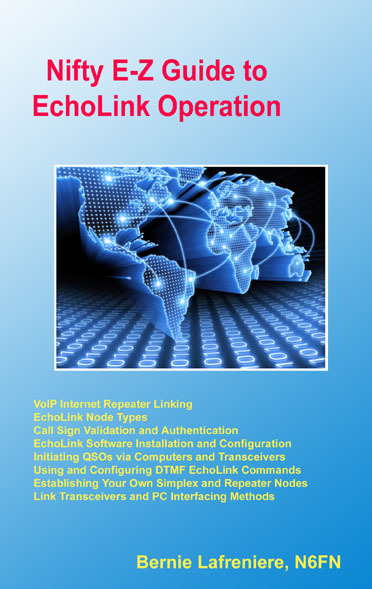 Q: For Sysop operation with the TM-V71 or TM-D710, what are the software settings for EchoLink? A: Be sure EchoLink is running in Sysop mode. Then, choose Sysop Settings from the Tools menu. On the RX Ctrl tab, choose "Serial CTS" and choose the correct serial port. On the TX Ctrl tab, choose RTS and choose the same serial port as you did for RX Ctrl. On the DTMF tab, choose the Internal DTMF decoder. Note: During operation, if you notice that the TX indicator in the corner of the EchoLink screen remains lit even when no signal is being received on the radio, check the box marked "Invert Sense" on the RX Ctrl tab. In some situations, such as linking to a repeater with a long tail, it may actually be better to use VOX for carrier detect. In this case, choose VOX (instead of Serial CD) on the RX Ctrl tab. Q: Do I need to set up anything special on the transceiver itself? 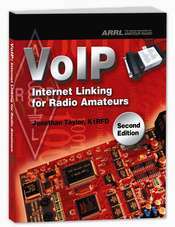 A: You will need to put the transceiver into EchoLink Sysop mode. For the TM-V71, this procedure is described on page 61 of the manual; hold down PF2 while pressing the power button. Set up the link frequency on the "data band" (normally the left-hand side of the radio) and be sure it is enabled for "PTT" and "CTRL". Q: Everything seems to be working OK, but the audio from the rig to the PC seems very low, even with the PC's Microphone level turned all the way up. How can I get more audio out of the rig? A: On the TM-V71, the default output level on the PR1 pin is very low in EchoLink mode. Kenwood advises that it can be adjusted using the MCP-2A programming software, which is available free of charge from the Software Downloads page of the Support section of the Kenwood Web site. In the Data Terminal Adjustment section, increase the PR1 Output Level (EchoLink Mode) from 3 to a higher value such as 6 or 7. Note that this adjustment does not work correctly in version 3.01 of the MCP-2A software, but it should work in earlier and later versions.